Who knew that a TV show about manufacturing fish aquariums could be so interesting? But the popular Animal Planet show Tanked is just that. On this Las Vegas tour, you'll go behind the scenes of the 37,000-square-foot Acrylic Tank Manufacturing facility, and you just might bump into one of its TV personalities. Wayde and Brett, perhaps? Robbie Redneck or Agnes, maybe? Don't miss this insider look at reality TV. 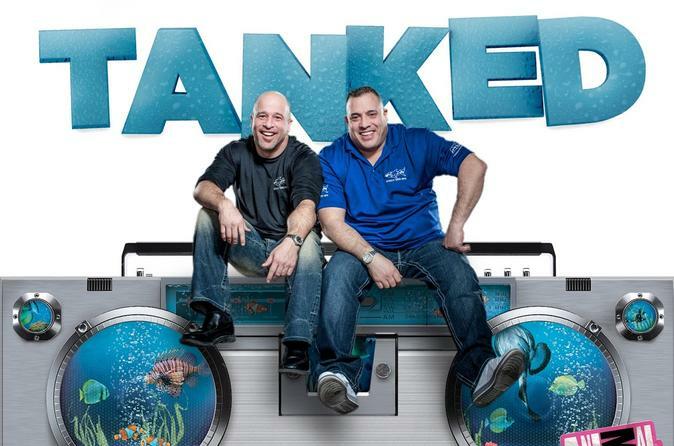 If you’re curiously addicted to the Animal Planet television show Tanked, you don't want to miss this VIP look at the 37,000-square-foot (3,437-square-meter) Acrylic Tank Manufacturing (ATM) facility in Las Vegas, where the reality show takes place. During your behind-the-scenes tour, find out how ATM came to be one of the world’s most prestigious fish-tank makers, and gawk at the many macaws and other animals that linger about the place. See aquariums being made, and learn from your guide about proper manufacturing techniques. Hear how the Raymer and King families ended up with their own TV show and what it’s like to be a reality television star. The stars themselves may be around, so keep your eyes open for a glimpse of Brett, Wayde, Agnes or Robert, aka Robbie Redneck. Then get out your camera for a shot of yourself sitting on Brett’s perpetually messy desk, and see some of the amazing tanks ATM has created, some of which are shaped like pyramids and automobiles.